Jesus taught his followers to be the "salt of the earth" and the "light of the world". I think the mistake that we tend to make is to equate our influence in the world with standing up for the truth. When we do this, and I believe our current cultural and political climate reveals this reality, we adopt a more confrontational stance. It really becomes, "I am right and you are wrong". Certainly, there is a time to declare truth and confront the lies of the world, but I believe the Bible reveals a much better approach. An approach that allows us to truly be the "light of the world". This is the approach that the Church followed in the first three centuries and it allowed the early Church to turn the Roman Empire on its head (see Rodney Starks' book The Rise of Christianity). The approach I am talking about is love. Love is what makes the Church different from the rest of the world. Love for each other. Love for our neighbors. Love for our enemies. The world is a tough place and finding communities and families where we feel loved and accepted can be difficult. The Church is becomes a safe place because of the love we show to one another. We discover this truth taught throughout the New Testament, especially the Sermon on the Mount. The Apostle Peter also taught it. Finally, all of you should be of one mind, full of sympathy toward each other, loving one another with tender hearts and humble minds. Don’t repay evil for evil. Don’t retaliate when people say unkind things about you. Instead, pay them back with a blessing. That is what God wants you to do, and he will bless you for it (1 Peter 3:8-9; NLT). As we ponder what Peter wrote we discover that he was talking about living in a way that was different from the rest of the world. It is living in contrast to the darkness of the world that enables us to be lights. Be of one mind. It is next to impossible to have a group of people totally agree on things. Each person brings with them their own unique perspective which is influenced by various people and experiences. I think what Bruce Oberst wrote in his commentary on 1 Peter is helpful; “Few of us always agree on how to carry out the thousand details of everyday life. But we should strive to have the same basic goals, purposes and motives, that provide the very foundations of Christianity” (Letters from Peter; p. 81). To be of one mind is about having an agreement on purpose and goals. For instance, the purpose of the church I pastor is to be a Christian community that glorifies God. Our discussions center around how to make that happen. Show sympathy to one another. Each person has their own set of struggles and pain. To paraphrase C.S. Lewis in The Problem of Pain, the greatest pain in the world is the pain that we experience at that moment. I think this same concept can be applied to our struggles. This is why we need to have sympathy for one another. We may not think the struggle or pain is significant, but for the other person it threatens their faith. Rather than passing judgement, we should encourage one another along. Love one another. To love is to treat each other like family. We are to be kind and care for one another, just like what we would expect to happen in a good family. That means we bear each other's burdens, we put up with things that annoy us, and we sacrifice in order to help one another. If a Christian can depend on no one else, he or she should always be able to depend on other Christians. In a selfish world the sacrificial love of Christians should provide people with hope that is built on the love of God. Do not retaliate against those who have wronged us. To repay a wrong with a wrong is the way of the world. If we seek revenge then the Church no different than the world. Remember Jesus specifically taught that we are to turn the other cheek (Matthew 5:38-48). When we love people, regardless of what they have done or said to us, we show the world that there is a better way to live. We also provide evidence that the way of God is different than the way of the world. If we retaliate we darken the light of love and compassion that should characterize the Church. We can only be lights if we are different from everyone else. 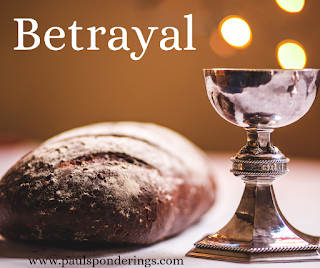 Peter echoed the teachings of Jesus and Paul by teaching that one of the primary ways the Church is different from the world is how we treat one another. It is crucial that there is a clear difference between how Christians live and the way the world lives. 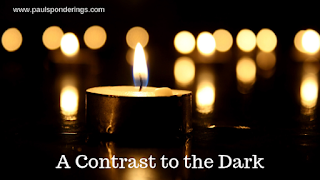 It is this contrast that allows us to be lights in a dark world. Jesus called his followers to be the "lights of the world". We become light when we show the world that loving people is the best way to live.